Agricultural service system constantly improve the service capability of sustained and stable development of agriculture further enhanced. Present, we should focus on the following aspects . One is to improve policies and create the environment. 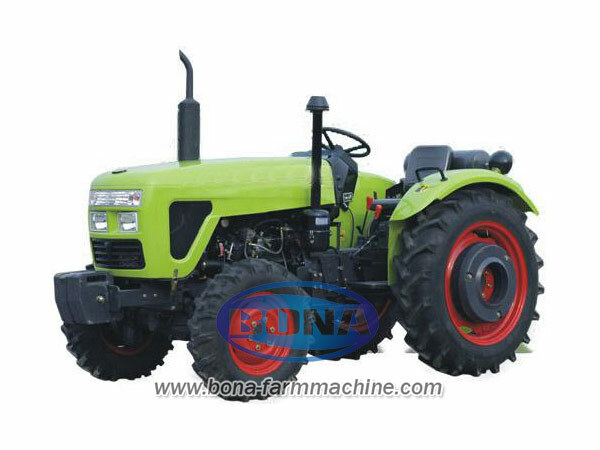 Standard operating procedures to maximize the effect of the role of policy guidance and market mechanisms to support and encourage farmers to purchase the production of advanced and applicable technology is mature, reliable,energy saving farm machinery,to accelerate improvements in the level of China's agricultural machinery and equipment , improving equipment structure(farm tractors made in china). Second, grasp the key , all-round development.Continue to focus on improving the level of mechanization of food production as soon as possible , during, and post the whole process of mechanized farming income sectors extending from mechanization to prenatal , agricultural products in regions around the same time , local conditions and gradually promote economic crops,aquaculture,agriculture,agro early industrial and agricultural waste utilization mechanization. The third is to cultivate the body , social services. Fourth, strengthen supervision, security and development .Improve agricultural quality complaints network and urge enterprises to fulfill their commitment to quality and service commitment. Crack down on counterfeit and shoddy products, agricultural machinery acts regulate agricultural operations services, maintenance services , intermediary services ,equipment rental services , old farm machinery market. Develop agricultural machinery scrapped system update as soon as possible . Strengthen publicity and education of agricultural machinery safety laws, regulations , standards and knowledge to prevent and reduce farm accidents. Fifth, improve the system , and innovative mechanisms . Multi-channel input and actively seek to root out the potential of both existing resources , strengthen grassroots agricultural management , appraisal, promotion , supervision , maintenance , education and training system to improve the quality of workforce , improve the ability to provide public services for the development of agricultural mechanization . Establish and improve the coordination of agricultural research and agronomic experts mechanism , breeding suitable varieties , cropping patterns to determine a reasonable , cost-effective research and development equipment . Promote the reform and development of agricultural mechanization technology promotion system, and gradually establish a promotion agencies guidance services , agricultural service organizations , businesses involved in the promotion of agricultural co-operation of the new mechanism .